Foothill Ranch, CA, Jan 17, 2011 (Global Fashion Wire) - Target Corporation ( NYSE:TGT) announced on January 13, 2011 that it has agreed to pay C$1.825 billion to purchase from Zellers Inc., a subsidiary of the Hudson's Bay Company (HBC), the leasehold interests in up to 220 sites currently operated by Zellers Inc. 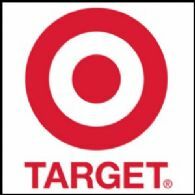 This transaction will allow Target to open its first Target stores in Canada beginning in 2013. "This transaction provides an outstanding opportunity for us to extend our Target brand, Target stores and superior shopping experience beyond the United States for the first time in our company's history," said Gregg Steinhafel, chairman, president and chief executive officer of Target Corporation. "We are very excited to bring our broad assortment of unique, high-quality merchandise at exceptional values and our convenient shopping environment to Canadian guests coast-to-coast. We believe our investment in these leases will strengthen the surrounding communities as well as create strategic and financial value for Target stakeholders." Target has agreed to pay Zellers Inc. C$1.825 billion, in two equal payments of C$912.5 million, to acquire the leasehold interests in up to 220 sites currently operated by Zellers Inc. These payments are expected to be made in May and September of 2011. Zellers Inc. will sublease these sites from Target and continue to operate them under the Zellers banner for a period of time. Target expects to open 100 to 150 Target stores throughout Canada in 2013 and 2014. The financial returns on these stores are expected to be in line with returns on new Target stores in the United States, resulting in dilution to earnings prior to store openings followed by accretion to earnings in the first full year of store operations. These stores will provide a strong, initial foundation for a more robust Target presence in Canada over time. Target is excited about the Canadian workforce and expects to create thousands of jobs for Canadians in the coming years through store renovations, expansions and new construction as well as subsequent store operations. Target will initially create opportunities in the construction industry as it seeks to ensure that each location delivers a Target-brand shopping experience. Target expects that renovation of leased sites will result in an aggregate investment of more than C$1 billion. Once remodeled and open, tens of thousands of jobs will be created to operate the new Target stores. A typical Target store in the United States employs approximately 150 to 200 team members. Target has always believed in strengthening the communities where it does business. Its commitment to donate 5 percent of its income began more than sixty years ago and extends to each new community it enters. Today, Target gives about US$175 million annually, or more than US$3 million a week, to support programs that improve the lives of Target guests, team members and communities. As the company expands its presence in Canada, it will also extend its 5 percent commitment, long history of being a good neighbor and active engagement with local and national partners to help build safer and healthier communities across the country. Target also announced today that it intends to actively pursue the sale of its credit card receivables portfolio, which totaled US$6.7 billion as of October 30, 2010. First Annapolis has been engaged to advise Target in this process. financial products and services to them. Target intends to execute a transaction only if appropriate strategic and financial conditions are met. Any proceeds to Target resulting from a potential transaction would be net of existing third party interests in the portfolio.